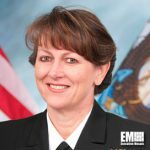 Vice Adm. Jan Tighe, deputy chief of naval operations for information warfare, has said the U.S. Navy has begun to explore ways on how to harness collected data to accelerate the decision-making process as the U.S. faces threats from peer adversaries such as Russia and China, Federal News Radio reported Tuesday. Tighe said at the Armed Forces Communications and Electronics Association’s Navy IT day the service branch is working on ways to generate decisions quickly through data collected from various sources such as financial systems and intelligence, surveillance and reconnaissance sensors. 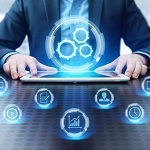 She mentioned the Navy’s efforts to help functional area managers identify data that can be used to perform certain functions and cited the need for a data strategy as the service migrates data to the cloud. “Part of that calculus requires a data strategy that makes sense of the data that we’re moving to the cloud, which data needs to go to which kinds of clouds,” Tighe said.